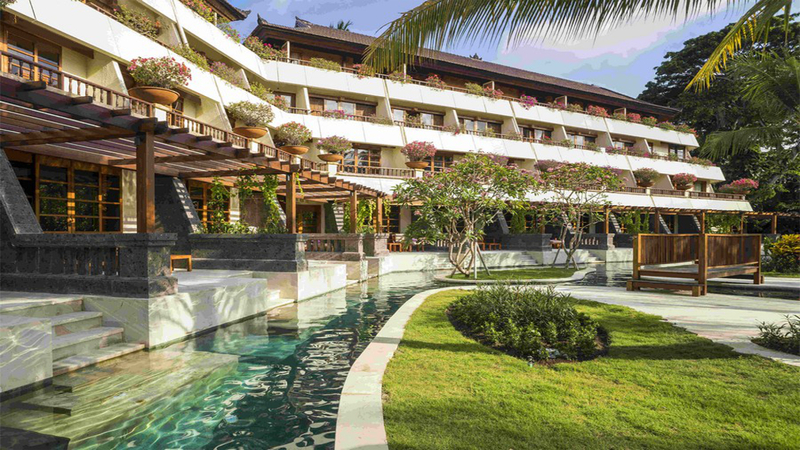 Looking out over a stunning expanse of white sandy beach and sparkling sapphire sea, the 5-star Nusa Dua Beach Hotel and Spa is the perfect choice for a magical holiday on the paradise island of Bali. 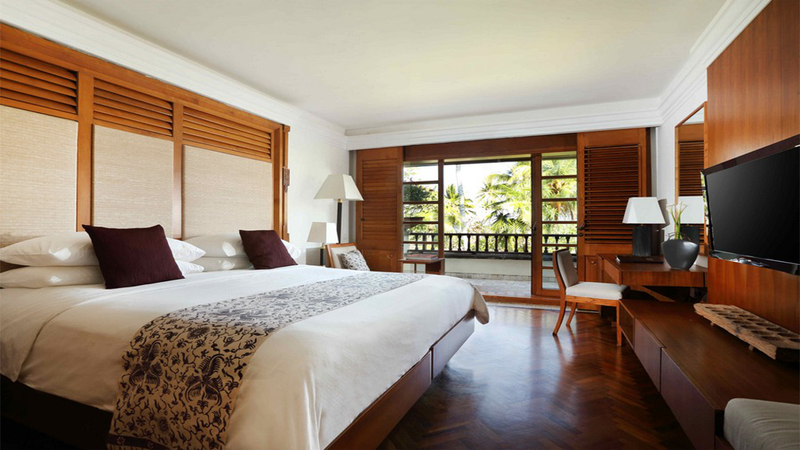 Surrounded by classic Balinese palace architecture and beautifully manicured gardens, you will feel like royalty, with the elegant rooms and suites, as well as the fabulous leisure facilities, helping to add to the experience. 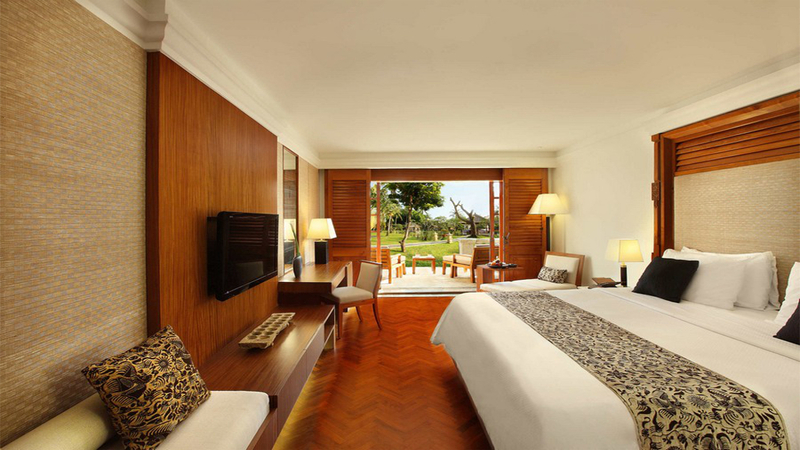 So prepare to escape the worries of home and enjoy an extravagant escape at the incredible Nusa Dua Beach Hotel and Spa. Next to Pantai Samuh Beach. 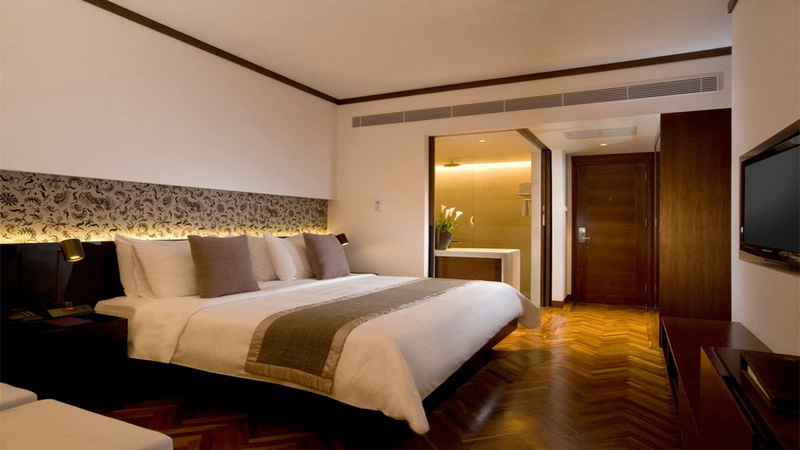 Approximately 13km away from Ngurah Rai International Airport.